Dr Ofweneke is a Comedian, emcee, Lyricist, Thespian / actor and a Motivational speaker who speaks Nigerian standard English, something that has confused fans into believing he is Nigerian and not Kenyan. His jokes are unstructured, natural, and loaded with wit and tact. For him, it’s not just about having the humorous accent but about delivering punch lines. Best known with his stage name Dr Ofweneke's official real name is Sande Bush. He obtained his stage name back in the day while entertaining children in the Nigerian accent at a shop in his estate. The kids wanted to know his real names but before he could reply them, they said he looked like “Dr Ofweneke.” He wondered where the name sprout from. Later, while looking for job as comedian, he was asked the name he would use and he remembered “Dr Ofweneke”. Dr Ofweneke is Kenyan by birth, born at Pumwani Hospital, Nairobi in the early 1990’s to Kenyan parents. 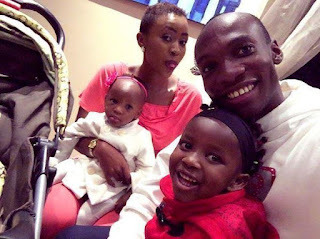 Dr Ofweneke is the firstborn son of David Oyolo, the CEO of SAY KENYA. His father also doubles as a politician and a leadership consultant. Unluckily, his parents decided to separate when he was just about a week old and he got to meet his biological mom after completing high school. She died a year after there meetup, but by the grace of God he confesses he truly blessed with a Stepmom whom he is truly indebted to. He is married to gospel artist Veronica Wanja better known as “Nicah”and are blessed with twins. Dr Ofweneke recounts moving from one estate to another in his early life i.e from “Mbotela” to “Mathare”, then “Dandora” and “Huruma.” Though he had it rough, it has made me who he is because it made him realize his talents at a tender age. One day he decided to relocate to his home village in Malava, western Kenya, the father was a student at a local university and could not afford to pay his fees and support him at the same time. For the first time in his life walked to school shoe-less and carry his books in a plastic bag, in a mud-walled classroom. He joined his uncle who was a maize farmer in toiling and protecting the plantation from animals. He sent his demos to several radio stations with no forthcoming replies. During one of his attempts to see a radio executive, he was kicked out from the offices of a popular radio station. 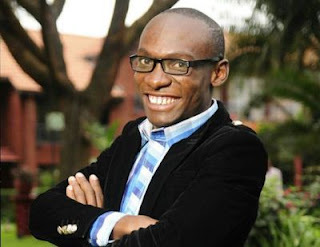 He eventually landed a job at Milele FM, making him the Youngest Radio Presenter aged 19 years. For the few years he has been around, Dr Ofweneke has made his mark in the comedy industry and fans as well as fellow comedians hail him as a game changer. When he landed a job to co-host a show beside Titi Nagwala at Milele FM, he was to present with a Kikuyu, Kamba,Luhya, Luo or Kisii accent but some other comedians were already good with the accents. Nagwala dared him to come up with something fresh hence coming up with his Nigerian accent. When introduced by co-host to radio listeners as, Dr Ofweneke from Nigeria, he spoke with the accent keeping his listeners confused to date. Dr Ofweneke studied at Ikonyero, Nabongo, Ikonyero, Malava and Pine Breeze primary schools in western Kenya. He also schooled in Statehouse primary school as well as Our Lady of Mercy before joining Aga Khan High School and moving to Mwea Boys High.